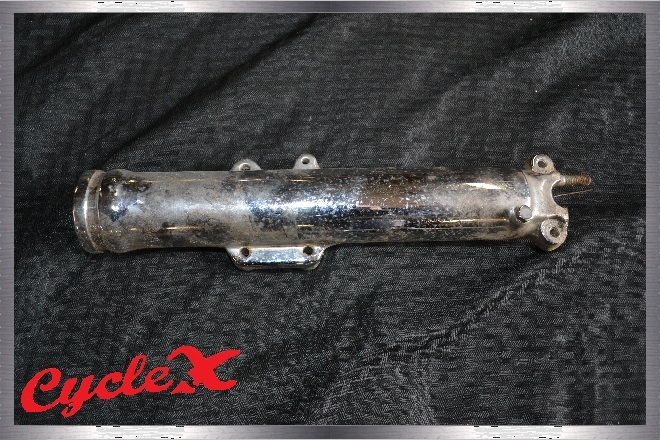 These photos are to help indentify early and late Honda cb750 fork tubes and lower sliders at a glance. Photos #1 and #2 show 1972 ½ thru 1978 (late) at a glance. Photos #3 and #4 show 1969 thru 1972 ½ at a glance. 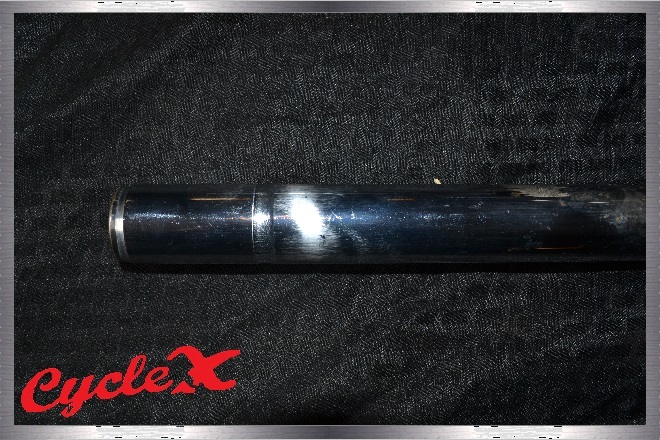 New fork tubes by Cycle X are made with industrial hard chrome and fit 73-78 Honda cb750's. 35mm diameter. 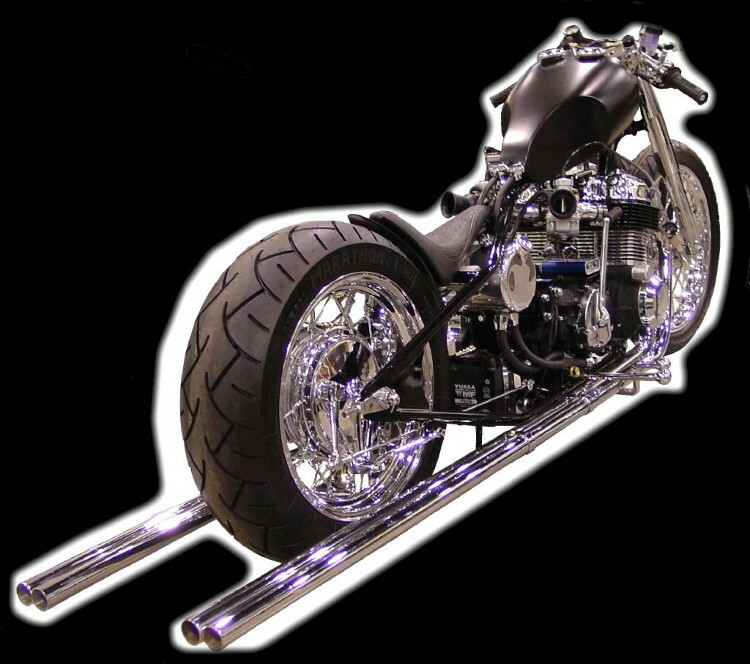 Note: Over size fork tubes will need spacers on top of springs to compensate extended lengths. 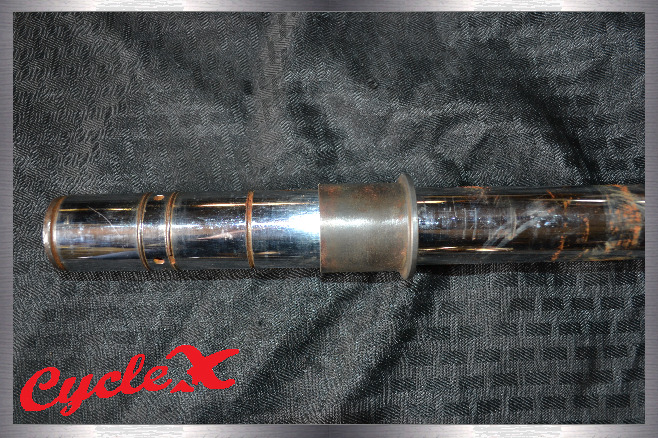 Tubes now include fork seals! 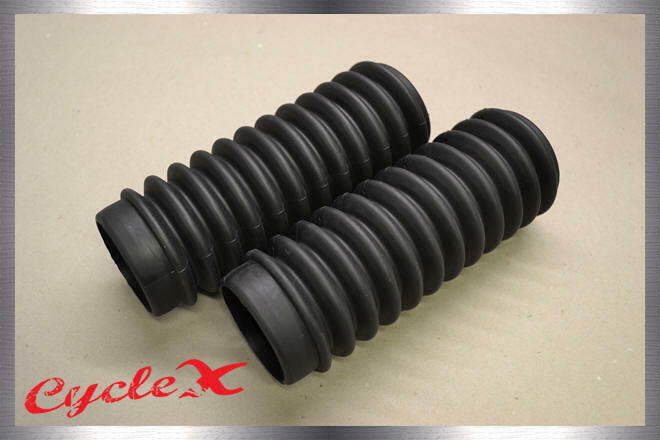 These springs offer a nice soft initial spring rate to soak up the smaller bumps. Progressively wound design provides increased spring rates to resist bottoming on those harsh unavoidable pot holes and/or bumps. 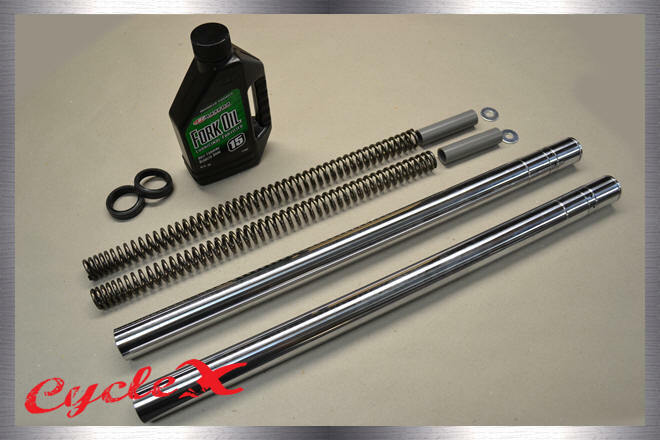 These springs have the same spring rates as Progressive springs at a more wallet friendly price. 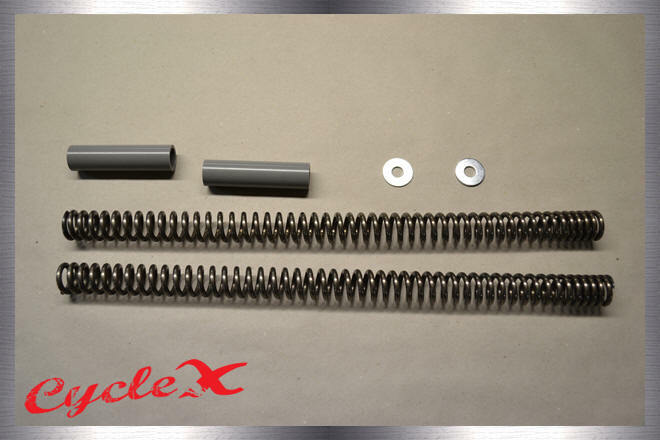 Our springs have a shorter length to fit perfectly with our -2 fork tubes, which means no cutting down springs. They also come with spacers to be used with stock length fork tubes. 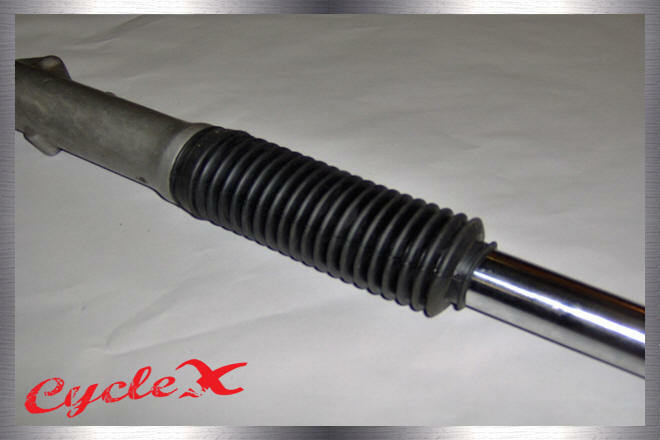 So if your ride is getting a little harsh on the front end and is bottoming more than it used too, get yourself some new Cycle X fork springs and enjoy the ride! Odds are, your front end is tired, saggy and doesn't handle like it used too. Well, instead of shopping around to find each part, we decided to put together a little kit to help bring your forks back to life. Our kit comes with our new progressively wound fork springs to give you the best ride possible, a 16 oz. bottle of 15W Maxima Fork Oil, new hard chrome fork tubes and new fork seals. Convenience and quality rolled into one! About 23 inches. NOTE: When ordering via phone, please be sure to specify the fork's length and year for quicker and more accurate service. A virtually complete kit to make your front end like new again. 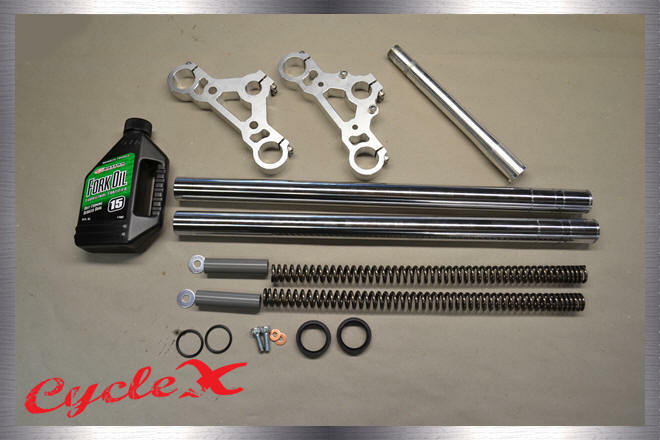 Kit comes with our new light weight complete triple trees, standard length fork tubes (69-72'), a 16 oz bottle of Maxima 15W fork oil, progressively wound fork springs and spacers, fork seals, new o-rings for the fork caps, and new allen head bolts and copper washers to hold dampening rod. 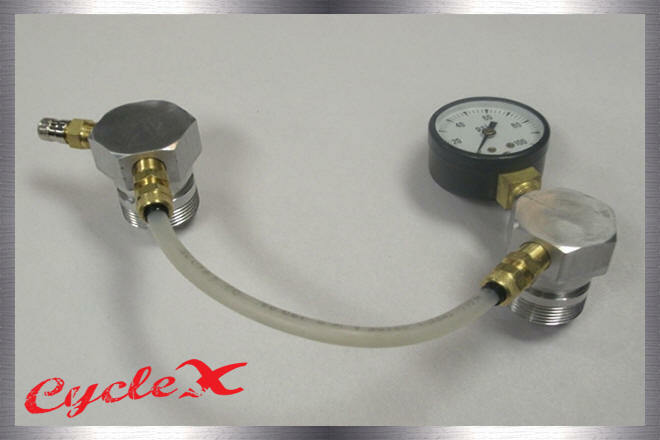 A must have for the cafe racer enthusiasts that are looking for style, functionality, and convenience. 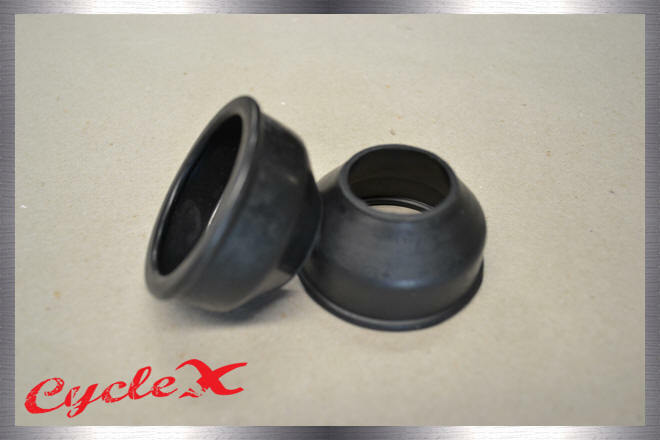 These CB750 gator boots are OEM replacements of the 51611-300-000. 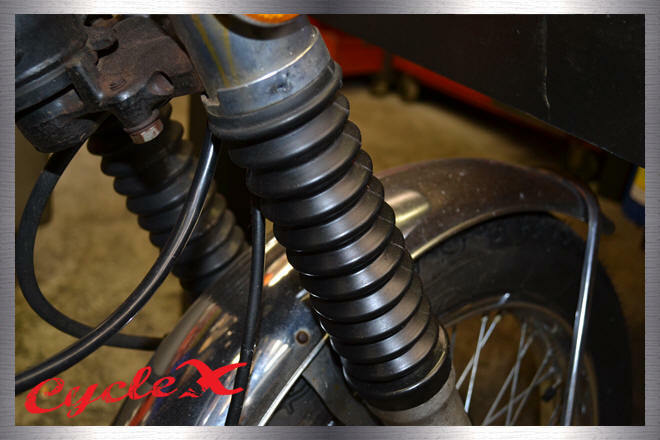 A great choice when restoring an old Honda a nice vintage look on your cafe project. Also fit CB/CL 450s, 500s, 550s, & 750s, along with most other vintage bikes. Our gator boots are different because they do not mount to your head light ears like OEM. Our boots mount to your lower sliders and your fork tube. This will eliminate the need for OEM head light ears for a super clean and 60's, 70's look. Super elastic. We have tried every fork seal made. 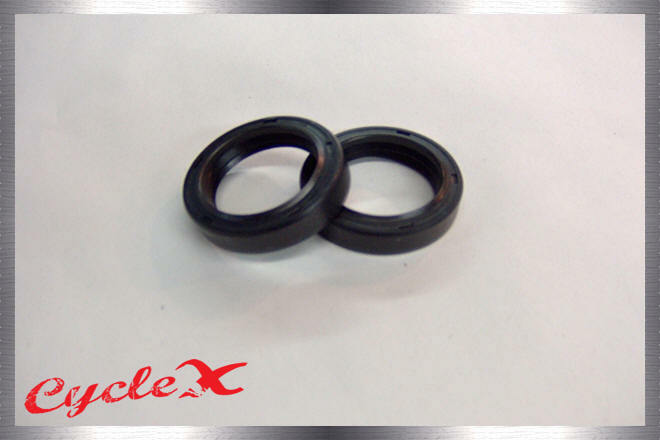 These fork seals are the best quality and price. 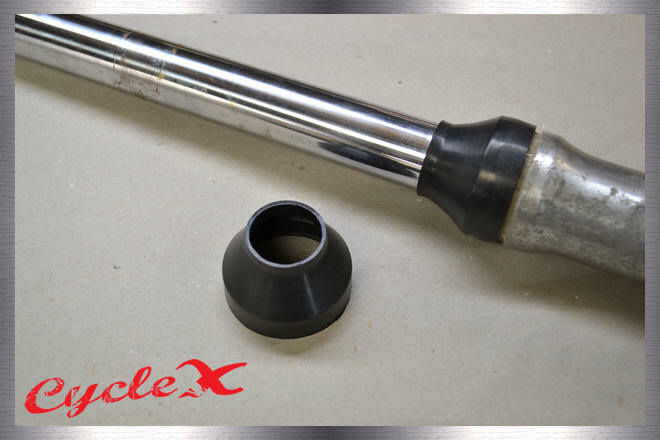 Tech tip: After your fork seals are installed, lube the top of the seal with your favorite lubricant. 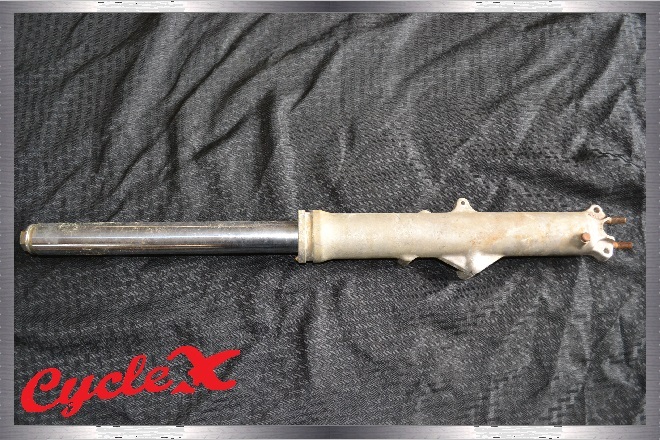 This will give your fork seals extended life and better fork action. We ordered up these dust boots by mistake (Oops!). No worries, we threw them on some CB750 forks and they fit and look good! Gives you a little different style than our other dust boots! Safety is just as important as looks. Ever drive a bike with bad neck bearings? Not fun! 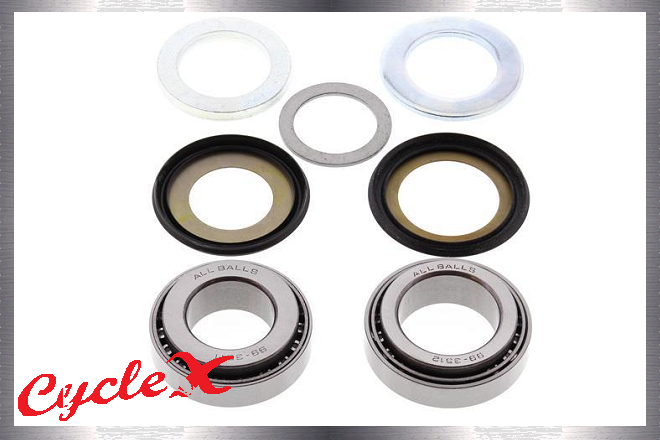 This tapered neck bearing set will give you support that OEM ball bearings never had. 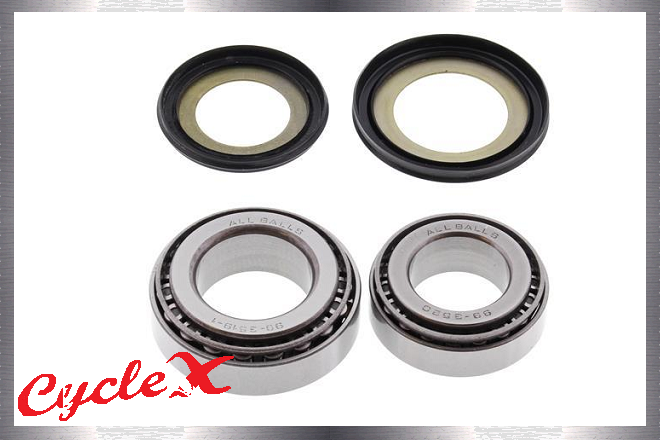 With people changing neck angles, this bearing set is even more important! If ordering via phone, please also provide the part # of any products you are interested in for faster and more accurate service. If you encounter a (rare) broken button as you're trying to add parts to your cart (going to PayPal summary instead of your cart or not opening PayPal at all) or anything else of concern, please call us to report it. We'll try to have it fixed for your convenience within the next 5-10 minutes. Afterwards, refresh the page and try again. NOTE: As of July 1st, 2018, an extended goods and services tax (GST) has been applied to all Australian consumers buying overseas, charging an extra 10% in taxes to us with each purchase. 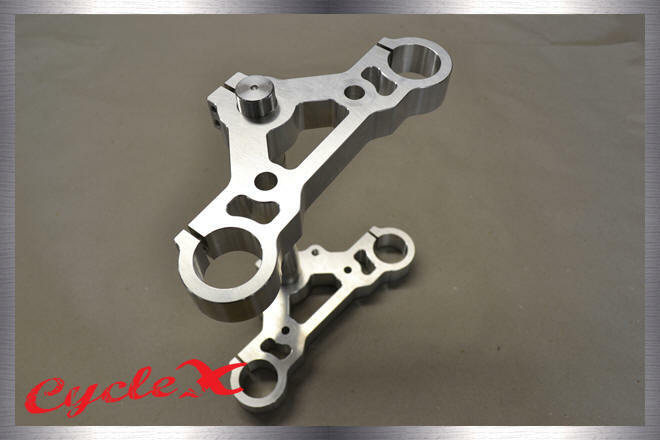 To ensure that you can continue to purchase from us in Australia and we can provide our parts at our usual lower cost, please contact us at the email below if interested in any particular parts so that we can make a special shipping arrangement for you. It is the sole and exclusive responsibility of the purchaser to determine the suitability of any part, product or work for his or her use. The purchaser shall assume all legal, personal injury risk and liability and all other obligations, duties and risks therewith. There is no warranty on High Performance products.